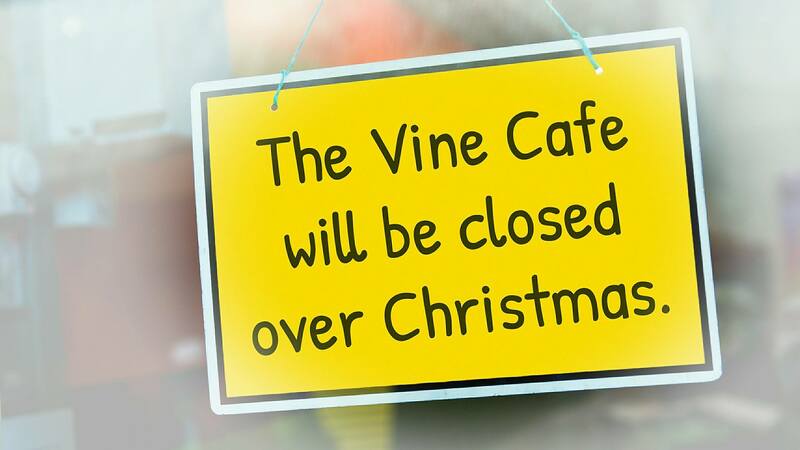 The Vine Cafe will be closed for a few days over the Christmas holidays. Our last day open before Christmas will be Fri 23 Dec, reopening Tue 3 Jan. 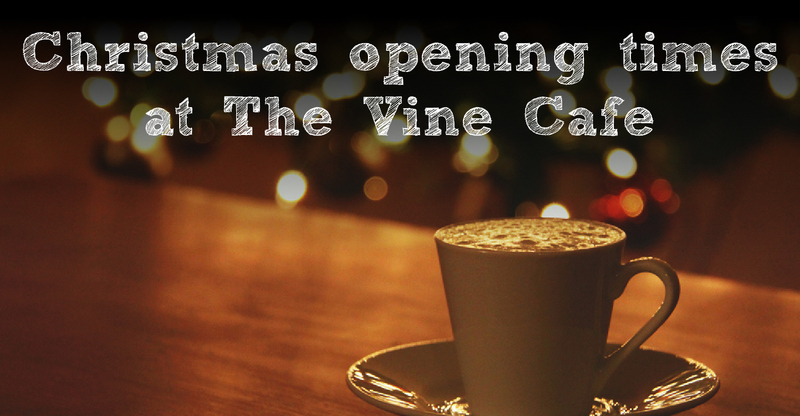 Opening times for The Vine Cafe over the Christmas holidays.